River Flow Advisory commission, which in March determined flood potential is higher than normal in Maine this year, will talk again Monday. A flood watch is in effect for many parts of central and western Maine through Wednesday and the panel that assesses the state’s river flooding potential is meeting for the second time this spring Monday morning. The watch, issued Sunday afternoon by the National Weather Service in Gray, is for many parts of the state, including Kennebec, Franklin, Somerset and Waldo counties. Barricades blocked the entrances to Front Street in Augusta Sunday afternoon, and a sign warned of flooding. Small ice floes appeared bobbed on the swiftly moving dark water. The river from Augusta south to Gardiner frequently floods this time of year. 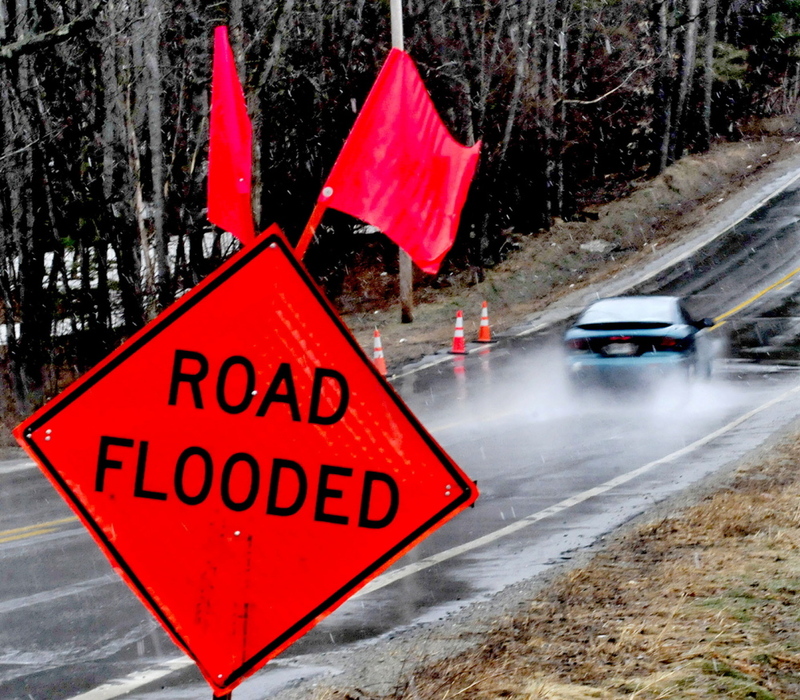 In Somerset County, Sandy River Road in Mercer and Middle Road in Skowhegan flooded, although both roads remained open, according to a dispatch officer for the Somerset County Communications Center. The state River Flow Advisory Commission is holding a second meeting via conference call 11 a.m. Monday to discuss the current potential for spring flooding, according to Beausoleil. The panel met last month and determined the liklihood of spring flooding is higher than normal this year. According to the National Weather Service, the most significant threat of floods is Tuesday into Wednesday when a cold front could cause an inch of rain or more. But the NWS alert also says Sunday’s rain and Monday’s forecast warmth can also cause high water. A flood watch means there is a potential for flooding based on current forecasts, according to the weather service.